The Rijksmuseum in Amsterdam presents 170 Japanese prints from the Elise Wessels Collection, picturing Japan’s rapid modernization during the opening decades of the twentieth century. 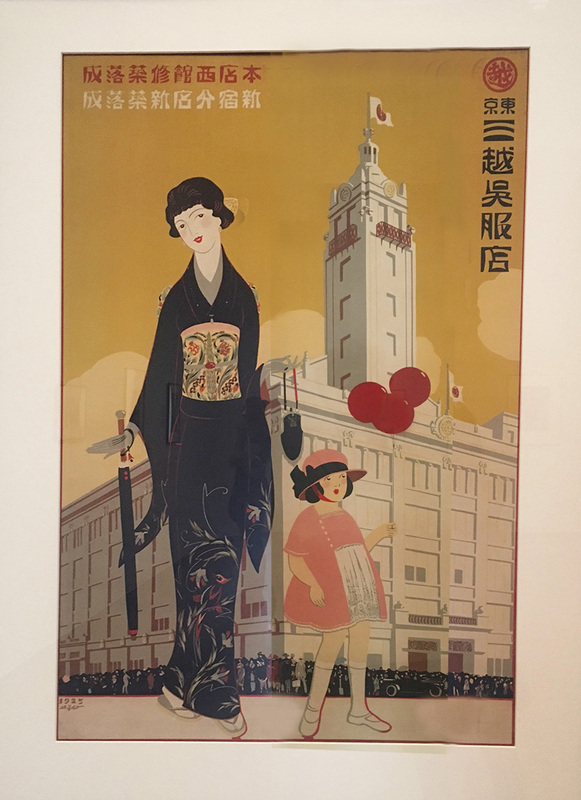 Alongside prints, the exhibition will feature kimonos and lacquerware from the Jan Dees and René van der Star Collection and posters on loan from the National Museum of Modern Art in Tokyo.Japan modernized rapidly in the first half of the 20th century. The growing international trade and booming economy had a great impact on Japanese society. This is reflected in graphic art of the period. At the beginning of the 20th century two new print movements arose. The innovative soak hang (creative prints), which focused on modern city life, and the more traditional shin hanga (new prints), which was more often informed by nostalgia and commerce. This exhibition presents a selection of the Japanese woodcut prints from the extensive collection of Elise Wessels. In the early 1900s, Japan was booming. Its modern urban centres offered a fertile climate for burgeoning industries and gave rise to new forms of leisure. As in Europe and America, women were pushing back old boundaries, forging a new model of the ‘modern girl’. Alongside optimism, there was also a prevailing sense of nostalgia, fed by feelings of uncertainty. In this era of vast change, the past was glorified as an ideal. With Japan in the midst of this whirlwind development, a devastating earthquake struck in 1923, ravaging the city of Tokyo and many towns and villages for miles around. Work immediately began on reconstruction of the country’s capital, putting the pace of modernization into an even higher gear. Synthetic fabrics made clothing, including kimonos, more affordable, and in their window displays the new department stores showcased the latest fashions to tempt shoppers. By 1930, Tokyo was a modern world metropolis that bore little resemblance to the city it had been just a few decades earlier. The new image of women was widely disseminated by advertisements for the rapidly growing cosmetic industry, and was subsequently embraced by writers and artists. In practice, however, the situation was quite different as most Japanese women still wore kimonos. Sometimes they combined this with a new hairdo, for instance a bob style, or chose a kimono with a contemporary pattern. Prints from this period offer an unparalleled window into this turbulent time. Japan already had a long tradition of printmaking, but the early twentieth century saw the emergence of two new artistic currents known as Shin hanga (‘new prints’) and Sōsaku hanga (‘creative prints’). Artists within these two movements each applied traditional woodcutting techniques in their own specific ways. Shin hanga artists used time-honoured methods and pictorial content that dovetailed with Japan’s centuries-old printmaking tradition, choosing subjects such as idealized female portraits and evocative landscape prints. Sōsaku hanga artists, by contrast, were avant-gardists with innovative ideas about the role of the artist and the creative process, whose subject matter revolved around the modern world, city life and industry. Weaving together these two strands of Japanese printmaking, this exhibition tells the story of a society in transformation. These posters announce the opening of the first section of the extensive underground network in Tokyo. The clothing worn by the passengers suggests that this new form of public transportation was primarily used by the city's more affluent inhabitants.